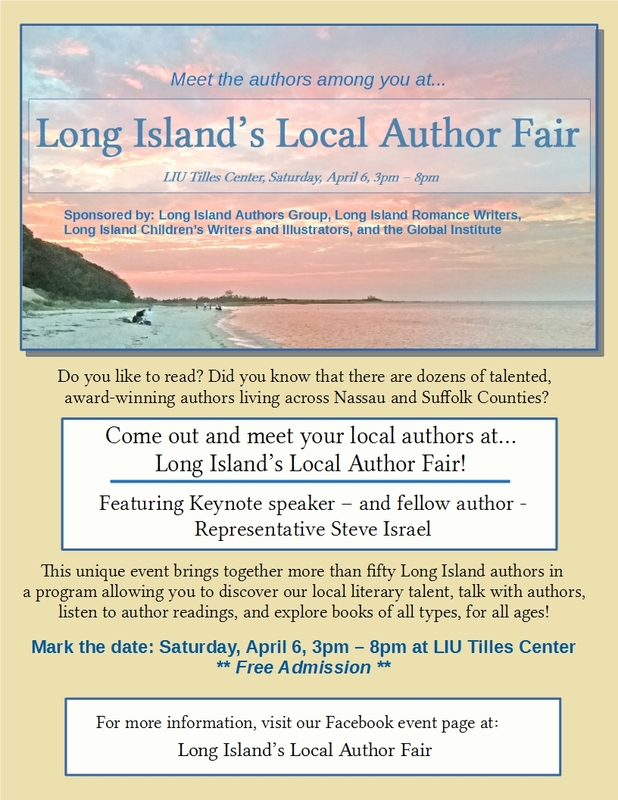 This Saturday, April 6, I’ll be attending Long Island’s Local Author Fair with fellow members of LIAG (Long Island Author’s Group) and other local writing associations. This event will take place at the Tilles Center on the LIU/C.W. Post Campus. Admission is free, and it runs from 3 to 8 pm. There’ll be over 50 authors participating, keynote speaker, Steve Israel, panels, and book signings. 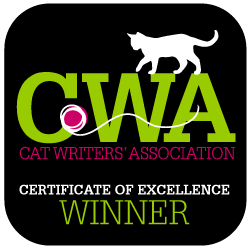 I’m looking forward to a great day meeting and chatting with authors and readers. 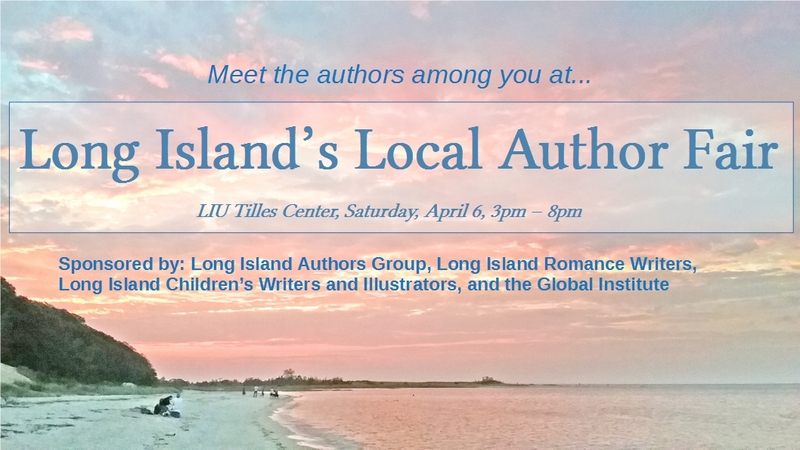 If you’re in the Long Island area, enjoy reading and meeting authors, this is an event you won’t want to miss. 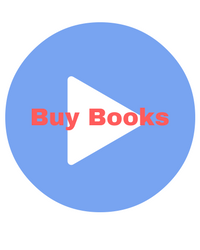 Check out this list of author presentations that feature a wide variety of genres. 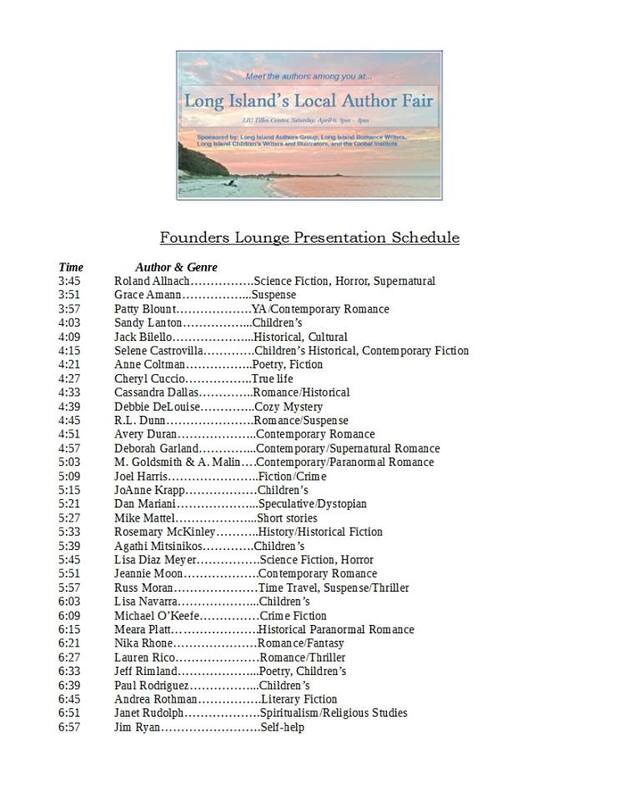 I’ll be speaking about my Cobble Cove mystery series and other books as well as my upcoming psychological mystery release at 4:39 pm in the Founders Hall. Please come by to see me at that time or at my table any time during the event.